5 Star Capital is a leader in the market of commercial real estate in Bay Area. We have maintained our original vision of providing exceptional and trustworthy commercial real estate services including asset management services. Our real estate market specialists are thoroughly trained in office, industrial, retail, investment and apartment properties. We enjoy the dignity to be one of the leaders in the commercial real estate market. Our years of experience allow us to effectively serve the unique needs of our clients. Our main objective is optimization of your profitable returns. 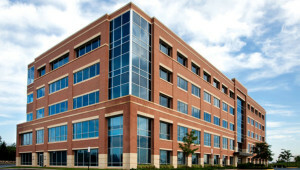 We also help our clients with their needs of commercial loans in Bay Area. We have specialization in both tenant and landlord representation. We have represented many clients and have the knowledge and expertise to handle all your real estate transaction needs. We will offer you insightful advice and personal attention. As your trusted partner in the market of commercial real estate in Bay Area, we will provide you more reliable commercial real estate services than any other company. We handle every facet of commercial property including retail space, industrial buildings, offices and agriculture-related facilities.